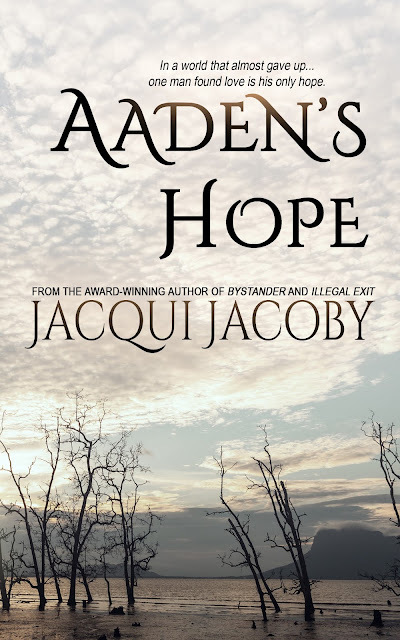 This week's Spotlight on Author is on Jacqui Jacoby and her new book, Aaden's Hope. Favorites: The feeling of waking up and one kitten has crawled under the blankets to cuddle next to me, while her brother is on top of the quilt pressed up against me, purring. The sight of coming in the front door from errands or the gym, and three of the kittens are curled up in the front chair, staring at the door, waiting for me. They purr when they see it's me. Frustrations: Hand dryers in public washrooms. They all hate me. Fabulous: I believe every woman, in any size, shape, color, age, whatever ... I believe woman has a beauty that is hers alone. I take pride in my own appearance so that I can look into a mirror and remind myself "You rock, babe." I'm not as thin as I was, I'm not as athletic, I have grey hairs where I never thought I would ... and I still look and see myself and see my worth. I wish every woman, everywhere, could do the same. Congratulations on your new release! Sounds exciting story. Thank you for stopping by! Hope you the book!! I appreciate your positive attitude about yourself and womenkind. Congratulations on Aaden's Hope, and much success to you. I appreciate you saying that. I say own what we got!! Wow! Ms. Jacoby is getting to be quite the prolific writer! This new one sounds like a real winner.I wish her much success. Keeps me off the streets late at night. This was such a good book, I'm glad I read it. I really liked Digger but her story was so sad. Her character was so strong and she really added something to the mix. Aww...I felt exactly the same Mary! Digger was so strong yet had so much emotional baggage which came through on the pages. 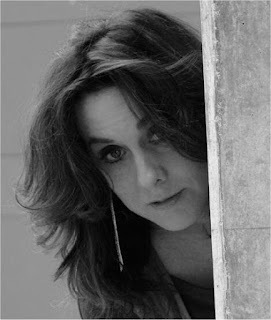 This author, Jacqui Jacoby dug really deep in her motivations and brought out all the emotions. It was hard to come to terms with what she suffered. Even the strongest can weaken. Thank you for the nice words. What a great interview! Another catwoman. Yay! Have a great one, Nas. Hope you like the book as much as the interview. Hand driers in bathrooms are the worst. I always end up drying my hands on my shirt. I'm sorry. I would be so sad if I couldn't have my kids. Hey, I know ... maybe if you read a good book it will cheer you up. I like your "fabulous" comments. If only every woman would have such a positive attitude!